Have you ever visited someone else’s home and realized that your home, by comparison, isn’t all that relaxing, inviting, comfortable -- essentially, all the good things that a home should be? It can be difficult to put your finger on exactly what makes one property a sea of tranquility and another chaotic, but generally speaking, a home’s comfort levels comes down to a few key characteristics. Below, we take a look at a few important areas -- make sure all of these things are in check, and you’ll be on your way to added comfort in the house. Everyone inside the house may look and feel great, but if you live in a busy area, and your house receives a lot of noise, then you’ll have issues. First, it’s best to locate from where the noise is coming -- if it’s from the traffic outside, for instance, or from noisy neighbors. The source will influence how you solve the issue. If it’s neighbors, try talking to them -- most people don’t realize how much noise they’re making. If it’s from the streets, then look at soundproofing your property; it’s not as difficult as it sounds. Our surroundings have a tremendous impact on how we feel. 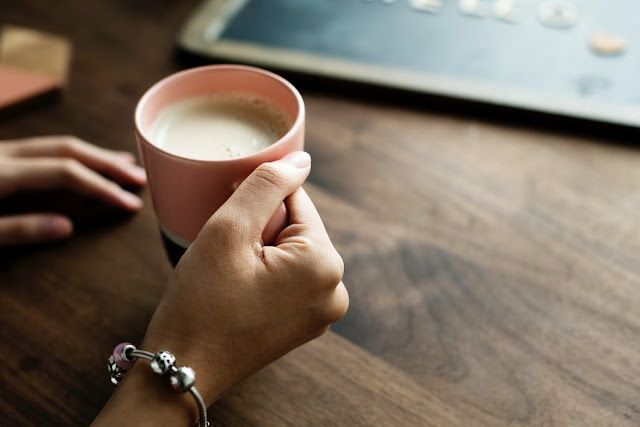 If everything’s chaotic or cluttered, then that’s how our mind is going to feel -- and this, of course, is not going to put us into a relaxing state of mind. So the question is, does your home contribute to a positive, relaxing atmosphere, or make it more difficult? If you have a home cluttered with junk, look at having a clearout. It’s as simple as piling up any items that you haven’t used in the past six months, and visiting this site to have it taken away. It’s much easier to unwind and relax when you live in a calm, spacious environment than one filled with trash. Humans weren’t supposed to spend all their time indoors. We belong outside! If you have a yard space but haven’t taken any steps to transform it into an area where you can relax, then you are not making the most of your property. It’s easy enough to do. The bare minimum when it comes to “gardening” will suffice, and after that, it’s all about adding a few simple things, such as a BBQ, outdoor furniture, and a few simple decorations. With those things added, you’ll have another room, essentially, that seriously ups your home’s comfort credentials. Comfort isn’t just about how it affects our mind or whatever -- it’s about how it affects our bodies. For this, it’s all about the senses. If your home is too hot or too cold, then it will not be an enjoyable place to be. Even things like lighting can have a big impact. If it’s too bright and harsh, then you’ll find it difficult to fall into that relaxing state of mind. Look at installing ambient lighting in your home - it’ll transform your home for the better, especially on those cozy Sunday evenings. Having quality toilet seats is a crucial step you cannot afford to skimp. Find quality toilet seats that make you feel comfortable. There is a difference between ordinary toilet seats and comfortable ones. Plastic toilet seats rarely provide the much-needed comfort. Pay keen attention to various factors if you are looking for the best seats without breaking your wallet. As explained on this page, you need to take into consideration the flushing power, build quality, efficiency, and reliability. The factors mentioned above are the true definition of quality. One of the best things about modern toilet seats is that they may come in comfortable custom heights and designs, making the buying process more of a personal preference driven endeavor. Your bathroom is a sanctuary, so it deserves towels befitting that status. Investing in a large supply of quality hand and bath towels is the biggest favor you can do to yourself. Consider purchasing big towels for your body as well as the smaller ones for the hands and face. The good thing about bathroom towels is that they are available in various designs and colors so you can always choose what best suits your style. Whether it is the waffle, white, or pattern, choose something that gives excellent value for your money. A trashcan is a bathroom essential owing to the critical role it plays. It does not make sense having a restroom without a disposal system. Having clogged toilets can be frustrating. The hassle involved in hiring a plumber occasionally can only aggravate the situation. This is where the role of an ideal waste disposal system comes in handy. Investing in a laundry basket for your bathroom is a welcome idea. This is specially important to prevent your clothes from rotting on the bathroom floor. Give your laundry a new life by getting a unique laundry basket that specifically suits your style. Interestingly, the modern laundry baskets come in various styles ranging from the innovative hampers to double laundry baskets and metallic bags among others. 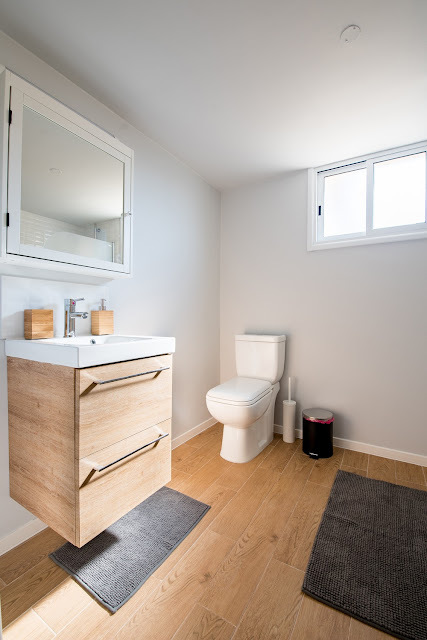 Every person might have a different perspective of what an ideal laundry basket is, but one thing is for sure, it is a worthy inclusion to your bathroom. Getting a shower curtain liner is one of the best ways to upgrade your bathroom. Buying a washable curtain liner would be a shrewd decision since you will no longer have to throw it away every time it becomes moldy. Disposing of a curtain liner occasionally is a wasteful and expensive affair. The fabric liners, in particular, are washable. On the other hand, with the plastic curtain liners, they cannot be recycled through washing. Therefore, you will have to throw them away soon after using. However, it is important to understand your preferences and choose what satisfies your needs. More often than not, we find ourselves doing stuff like repair work, mending fences, and sometimes even minor construction within the home instead of hiring others to do it for us. One of the reasons for this is that it saves money. It is common these days to simply walk in a store, get some tools and head back home to repair that broken roof or repaint that part of the house that has seen a bit of some weather. This kind of work is labeled as Doing It Yourself or DIY. 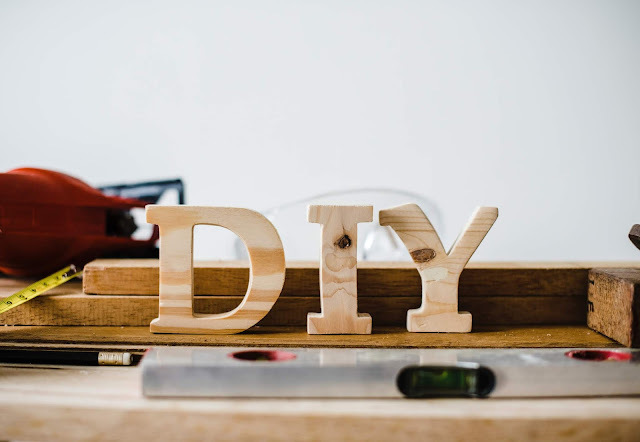 If you’re into DIY, you can find a lot of insights and advice online on how to carry out various tasks around your house. Here are six tips that can really help you. Even though we want to save those extra bucks and do a task for ourselves, there are those activities that require you to ask for assistance. Do not just assume that you can work on anything without consulting first. If you have done it before, then it is fine, but if you haven’t, consult first since you might end up making a mess of just a small task. Take only those DIY projects that you are comfortable with. You might end up wasting a lot more time, energy and money on something that a professional would have done in just a few minutes and for less. Before you even get to start that particular project, sit down with a pen and paper and calculate the cost of doing whatever it is you want to do including the cost of labor. One of the driving motivations of DIYing projects is the perception that you can save a lot more money if you do something yourself. You can get the tools and avoid paying contractors or other professionals. This could be true in some cases, but you need to evaluate the whole situation to determine whether it is worth it. You will find that it could be actually cheaper in some cases to hire someone rather than doing it yourself. Sometimes we just get into fixing something then realize halfway through the job that we might require a specific tool. Before you get down into repairing that tap or ceiling, ensure that you have the right tools at your disposal. It is true that we can improvise some tools here and there, but there are cases when you really need a specific tool. Do your research first before commencing on any work. Safety should be paramount when doing anything at home yourself. If for instance, you are repairing something that requires you to tamper with your electrical appliances and wiring, then be very careful to avoid injuries some of which can turn out to be fatal. Make sure you have the right safety apparatus like helmets and gloves among others when DIYing. There are some states and cities in which you are never allowed to carry out some repairs even if it is in your own home if you do not have a permit. Before you engage in some construction work, check with the city or municipal council to verify whether you need any permit to carry out those constructions. This is usually for safety purposes. Before commencing on any DIY project, make sure you know what you are doing. Otherwise, you will just mess up things and waste time and money. You can check out some guidelines online and some YouTube videos of the project you want to carry out. There are many reasons why you are thinking about SEO strategies at this point in time. You are aware that the business world right now is very challenging. You have to find a way to stay relevant and to make sure that your business will still get noticed amidst all of the competition. The very first thing that you can do is to formulate and finalize your goal. Once you recognize what you want to achieve, you can already start creating a strategy that will be the best one for your needs. You need to be aware of the opportunities that will be available that will fit the goals of the company through proper SEO strategies. There are some strategies that you will learn when you check Emma. 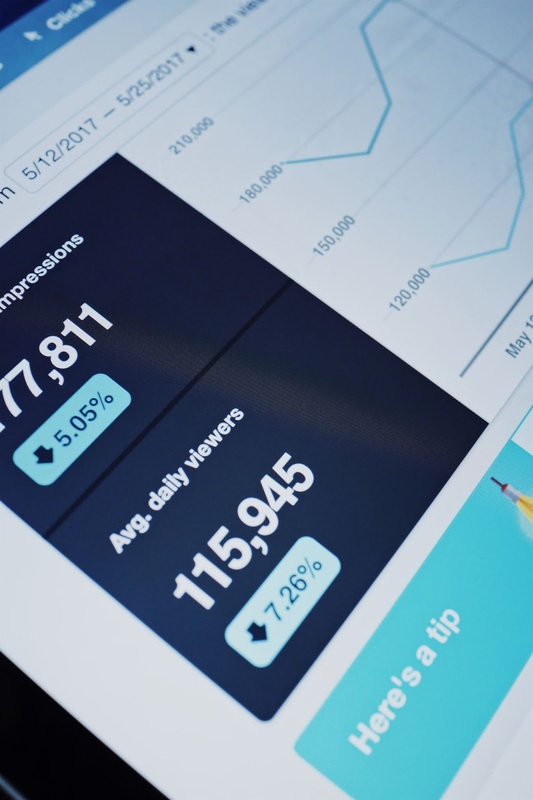 You will not only gain information about SEO in general, but you will also learn more about marketing and how you can use different tips to your advantage. You can use a pen and paper or you may want to use an app. The important thing is you will have the right area wherein you are going to state some of the things that you consider to be important. You may find some details that will allow you to create sound ideas. You can share this with the other people you are doing business with. Are you confident that your website is one of those that will be checked by your target customers? When people do not like what they see, you can already assume that they will go to another website instead. You want to have a website that people can easily navigate in. You need to know if your website is user-friendly or not. If it isn’t, then you will have a harder time keeping customers to stay. Even though you can create plans simply by knowing what your goals are and being specific with what you want, it can help if you would be able to visualize what you want to get from the SEO strategy. This will help you become more determined than ever in order to reach your goal. Take note that the visual representation has to be done in a simple way so that it can be understood by everyone. It can also be easier to edit that way. Can you still think of other things that you should do so that the SEO strategy that you will create will last? 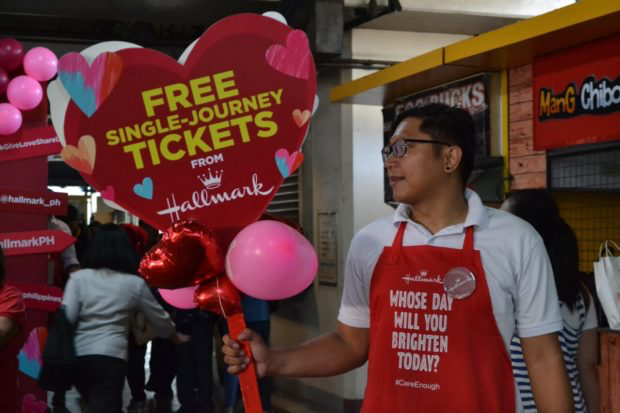 The day will be made sweeter by social media influencers and real-life couples, David Guison and Vina Guerrero, along with Trice Nagusara and Seph Cham, who will be there to give out the single journey tickets and Hallmark cards. Moreover, a singing flash mob will liven up the MRT platform area to serenade passengers before they board the train. Eureka Home Appliances recently sent small appliances to me for blog review. I knew that the company was celebrating their 20th anniversary in January but it was me who got the gift! How awesome is that! I decided that I should start with the Eureka 5.0 L 2 Layer Food Steamer. I have been feeding my family with more healthy food since last year as part of our efforts to lose weight. Thus, we frequently have steamed fish, chicken, or veggies in our meals. We already have a 3-layer food steamer at home which was brought by my sister-in-law from abroad. Oftentimes, I only use the first layer or up to the 2nd layer when steaming. This is why I find the Eureka 5L 2 Layer Food Steamer practical because that's what I would usually use. I only use the 3rd layer of my old food steamer when I cook for a large group. Besides, you can only put easy-to-cook food on top. Otherwise, it would require a longer steaming time. Eureka is available in leading department stores, supermarkets, and appliance stores nationwide. For more information about their products, visit www.eurekahomeapp.com or search Eureka Home Appliances on Facebook. Once again, thank you Eureka Home Appliances for this food steamer!